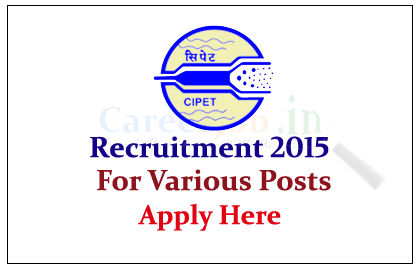 Central Institute of Plastic Engineering & Technology (CIPET) is Hiring for the post of Manager, Sr. Technical Officer, and Technical Officer for the year of 2015. Eligible candidate can attend the Walk in Interview on 10thAugest 2015. Eligible Candidates can send their application to below mentioned address on or before 10.08.2015, for more details check official Notification.